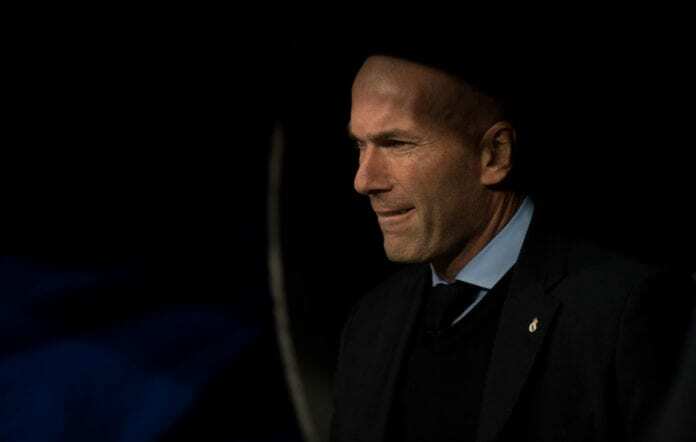 Real Madrid manager Zinedine Zidane recalled the “very painful” Copa del Rey defeat he suffered against Leganes last year ahead of Monday’s clash. Los Blancos were left stunned in January 2018 after blowing a first-leg win at Butarque to suffer a 2-1 home defeat in the return fixture of their Copa del Rey quarter-final tie. With no Cristiano Ronaldo and Gareth Bale for the clash, Zidane was forced to field a makeshift side. Despite Karim Benzema cancelling out Javier Eraso’s opener, Gabriel Pires scored to restore Leganes’ lead to knock Real out on away goals. “That was really hard for me, it was a failure. It was a very painful defeat because after having won the first leg, I didn’t like the manner of our defeat that night,” said Zidane on the club website. The Frenchman will now travel to Butarque on Monday night hoping to lead Real to victory in order to keep up their pursuit of beating Atletico Madrid to second-place in La Liga. It will be the first time in nine days that Los Blancos will be in action due to the club no longer being in the Champions League. “I’m expecting to see opponents that are keen to beat Madrid and a motivated and aggressive side because they’re having a good season,” said Zidane. Let's go down memory lane and remember Real Madrid's captain fantastic from the 1990s and the early 2000s - Fernando Hierro. He added: “The good thing is that nobody looks to hide here, they all want to play and are training really well. All of them have been available this week, barring the two or three injured players. The Leganes and Real Madrid game will begin at 21:00 (CET).